I would love to participate in your Lions Club project or event and help bring some positive attention and PR to your Lions Club. Lions are groups of service-minded men and women who are interested in improving their communities. We are young people, families and Baby Boomers alike. Most importantly, Lions are people like YOU! To become a Lion is to become an active volunteer, a member of a respected international organization, a leader in your community and a friend to people in need. You’ll grow personally and professionally. And you’ll know that what you do is worthwhile and appreciated! 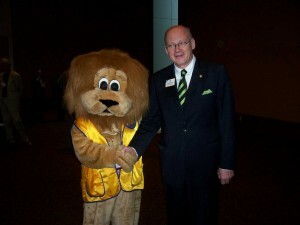 To find a Lions Club near you, check this list of East Tennessee Lions Clubs, the international Lions Club Locator, or contact me and I’ll see how I can help! One of the things I’ve noticed as I get ‘out and about’ is that children LOVE Lions. OK, a small portion are scared, but the majority, wave, smile, and even run to me for a hug!